Noragami Shuuishuu, also known as "Noragami: Stray Stories", consists of side stories to the Noragami manga series and is written by Adachitoka. These stories were serialized in Gekkan Shonen Magazine+ from 2011 to 2014. 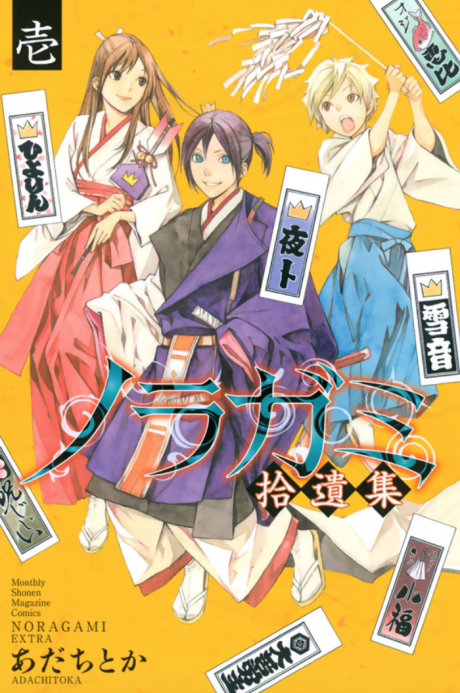 Volume 1 of Noragami Shuuishuu is comprised of seven of these stories and was first released on November 15, 2013. Some of the chapters have been featured in the anime.